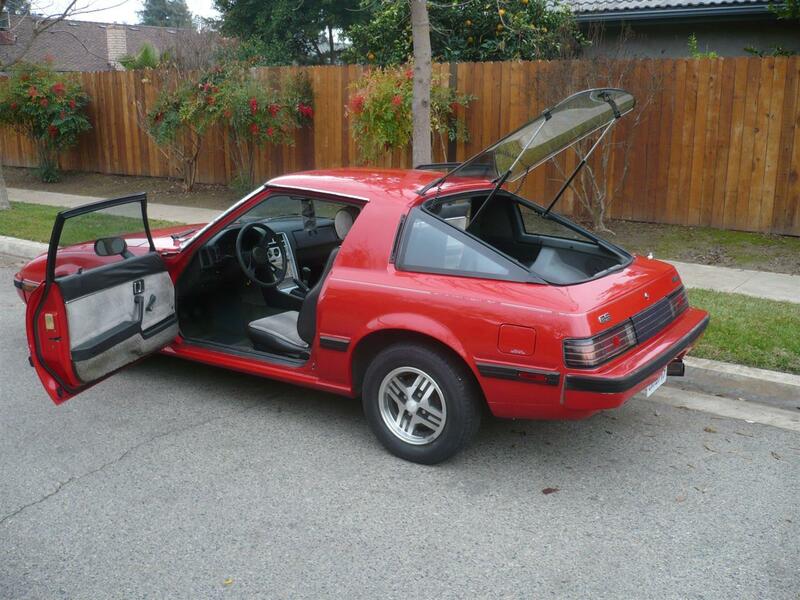 In a recent e-mail, Richard mentioned that he was selling his RX7 and he had put it on eBay. I figured I'd do a post about it. The RX7 was the first Japanese sports car that I really took notice of. The Datusn SP (Fairlady) cars were fine cars, but they weren't very different from the MGB (although it was introduced a few months before the B). The 240Z was a groundbreaking car, but I saw it as the Japanese take on the MGC GT, or as a built-to-a-budget E-Type. The RX7 was different. First of all, it had a "look". It had the wedge look that was popular in its day (and I look I love), but it had soft edges. It looked unique. It was a "rounded wedge". 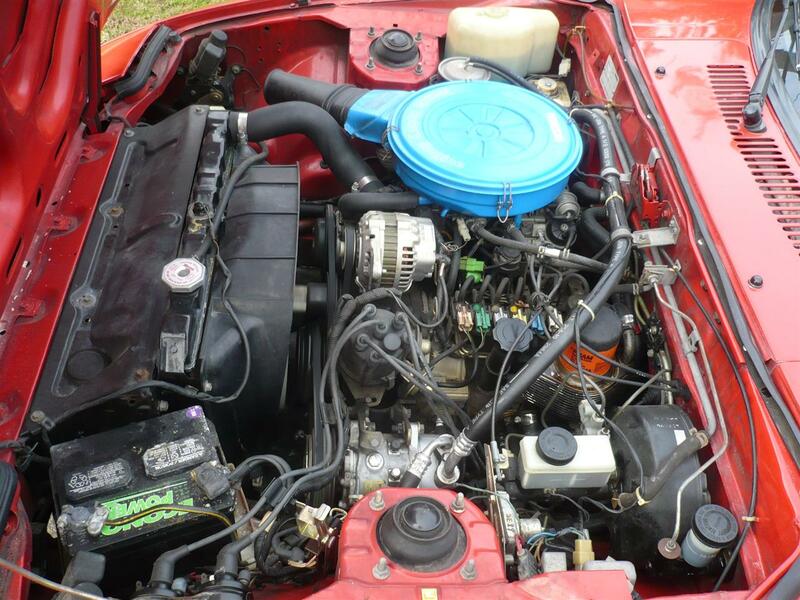 But, of course, what made the RX7 special was the rotary engine. Mazda had been using them in passenger cars and pick-up trucks, but found that the inherently higher fuel consumption of the rotary engine was hindering sales. 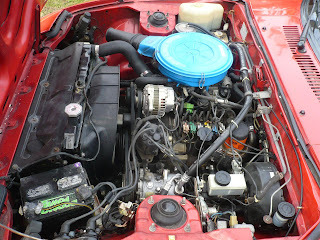 The engine was perfect for a sports car however, where fuel consumption was not as much of a concern. Mazda introduced the RX7 in 1978. 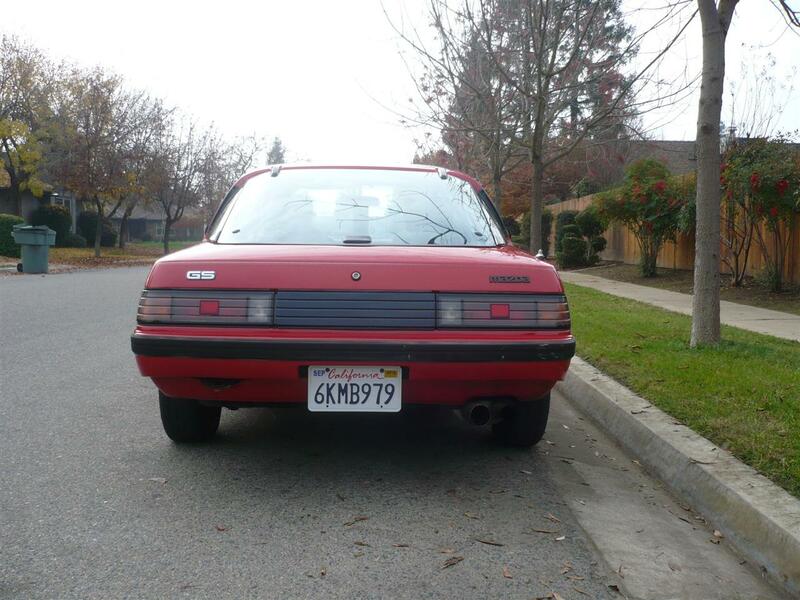 This car is a first generation / Series 3 RX7. It is arguably the best of the first generation RX7s. This RX7 has around 127,000 miles on it. Richard believes that the engine was rebuilt at 100K. It has had some other work done to it recently. The body is rust free and the paint still looks good. 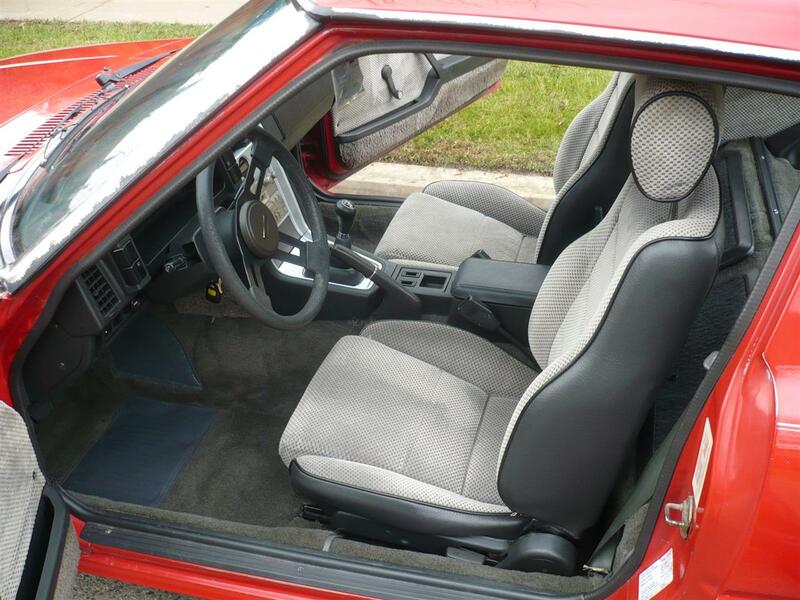 The interior looks to be in very nice shape. It needs a bit of work, much of which is purely cosmetic. The mechanical work it needs is minor and could be done after the car is on the road. Richard has included a link to a 10 minute YouTube video of the car (and now we all know what Richard's thumb looks like) along with a link to a website with a lot of large, clear pictures. If an RX7 show car is what you want, this is not the car for you. (Although with not much work it could become a show car.) 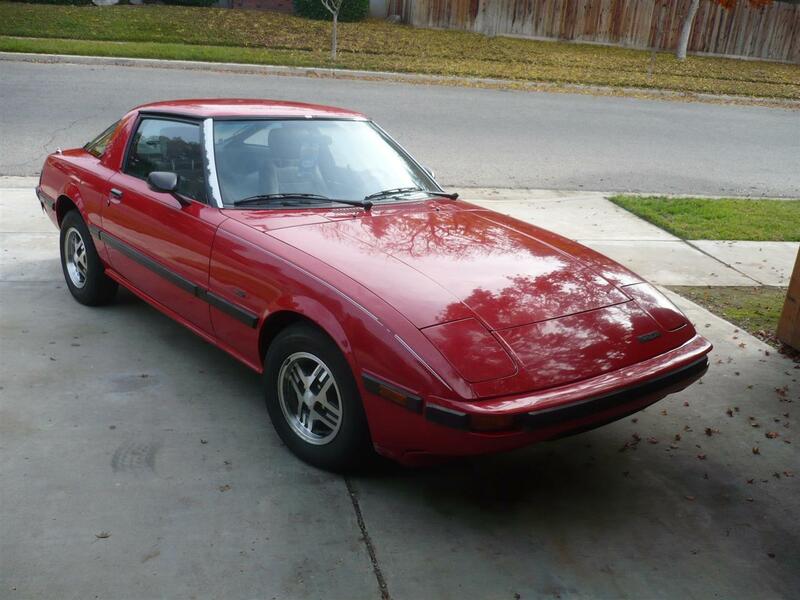 But, if you're looking for a daily driver or weekend car, one that has been well taken care of, this RX7 might be the perfect car. Located in Visalia, CA, click here to see the eBay listing. Nice car! In a few months you'll regret selling it!!! Looks like a nice, clean, honest car. Wish it was closer to home and I'd buy it. Super cheap where it's bid to right now with 16 hours left. Good luck, hopefully the snipers will bid it up at the end and put it at the right $. I knew 240, and you sir, are no 240. These are interesting cars, thanks to the rotary, but the styling keeps them from being more popular. Not to mention the cruddy live axle. Sorry RX7, it's you, not me. Thanks again for the post Dave, a lot more visits to the auction since it was posted on JaCG! Your spot on, its not a show car, it could be with some minimal outlay, but its more a driver, And what a lot of fun she is to drive! @Quantum - I regret it already but only 500 miles in a year and lack of space, I just can't keep it. I could however make room for a VW Quantum Syncro, always wanted one! @enmotors - Shipping is cheap(ish), I'd even cut a deal with a JaCG commenter and pay some of the shipping cost, half the price up to $400, rather she went some car enthusiast who will take care of her.